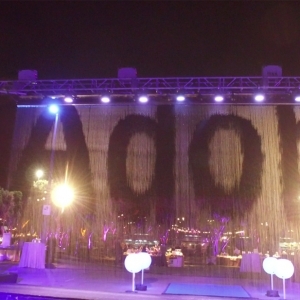 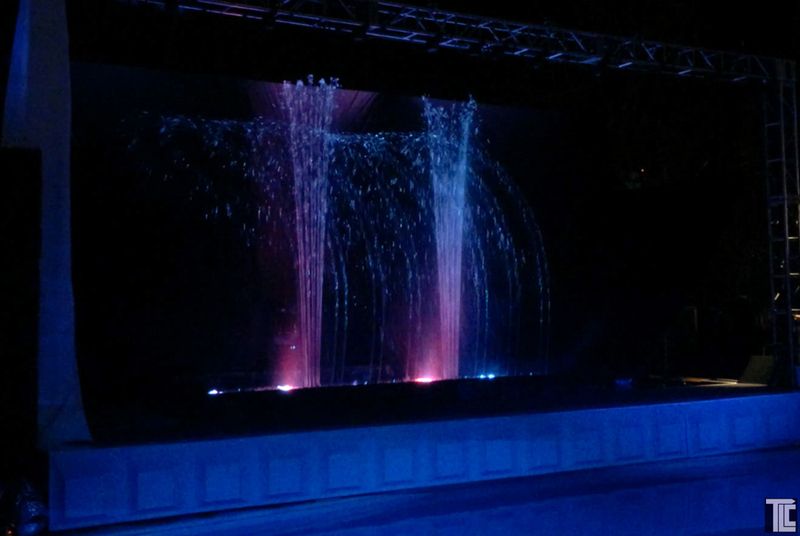 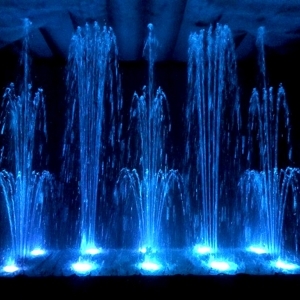 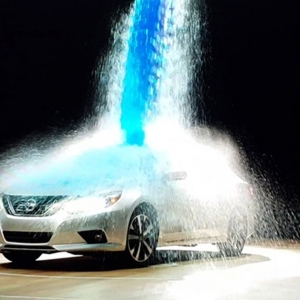 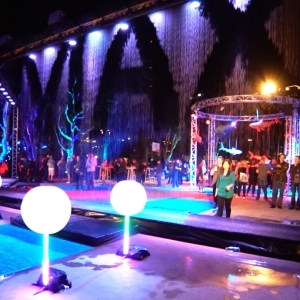 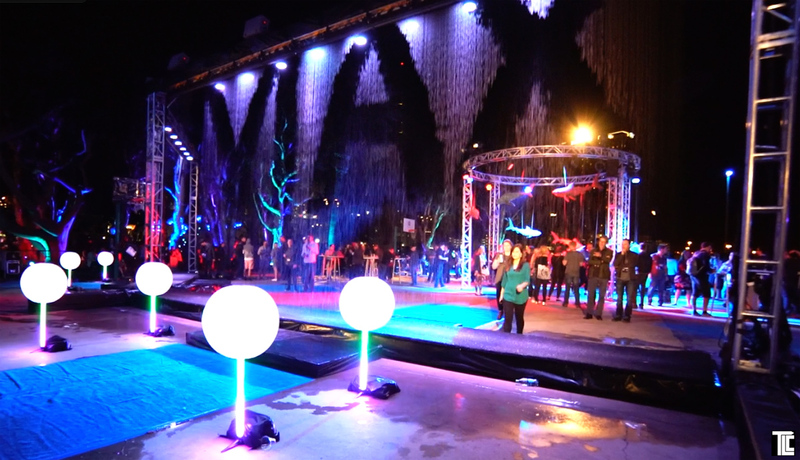 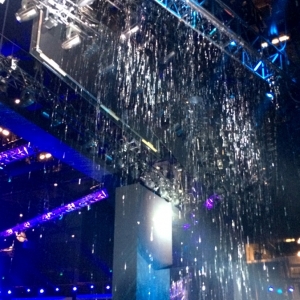 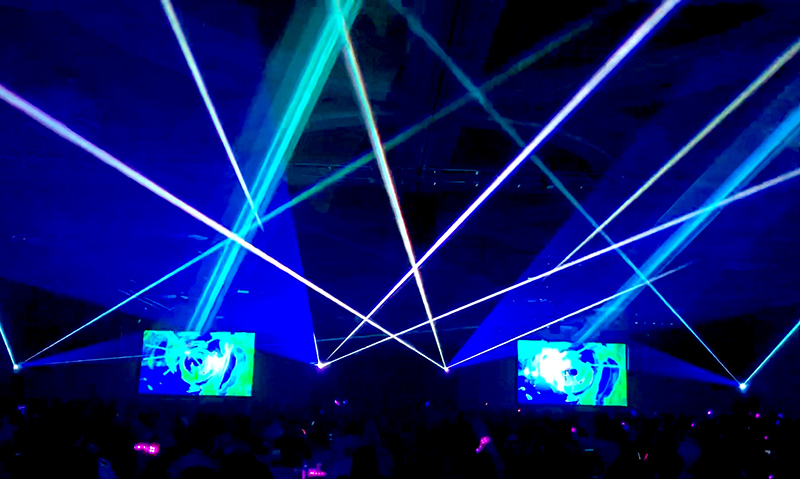 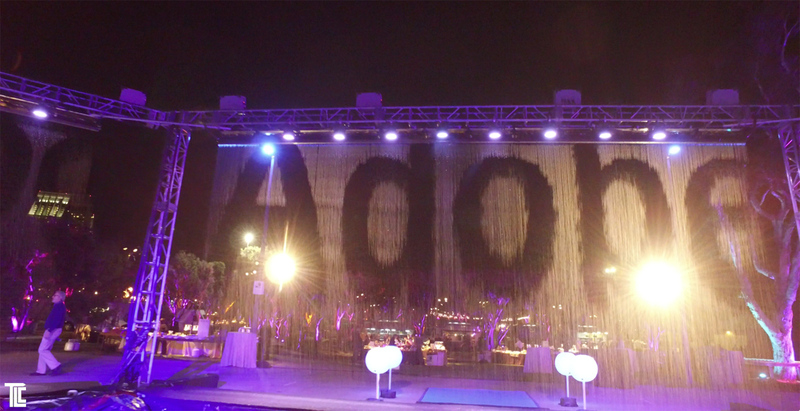 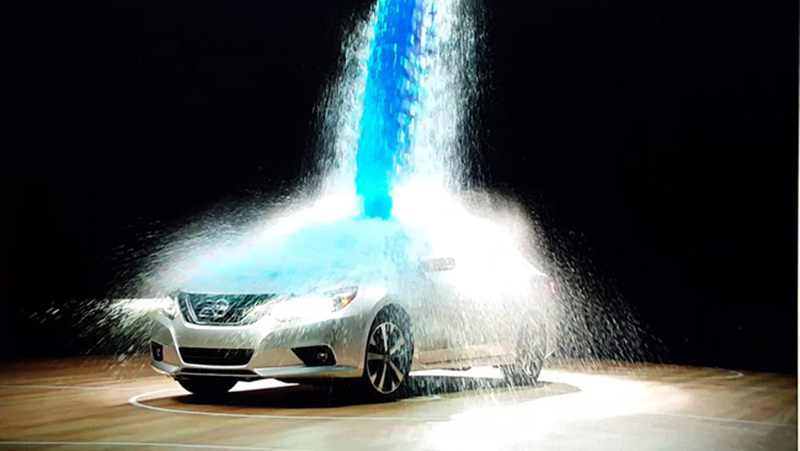 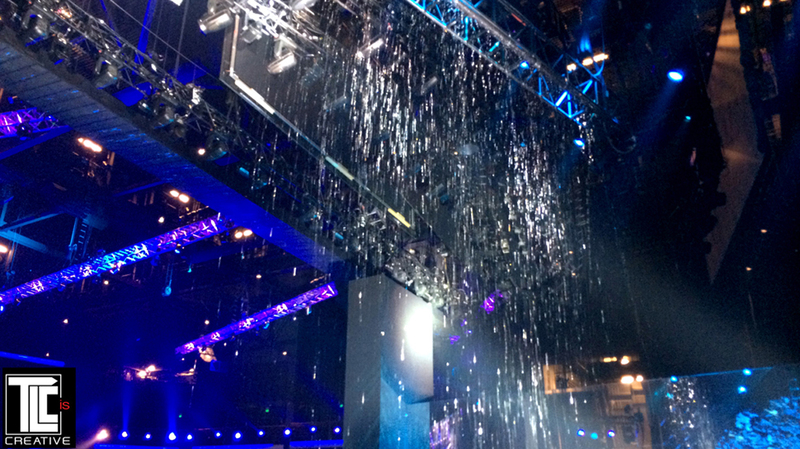 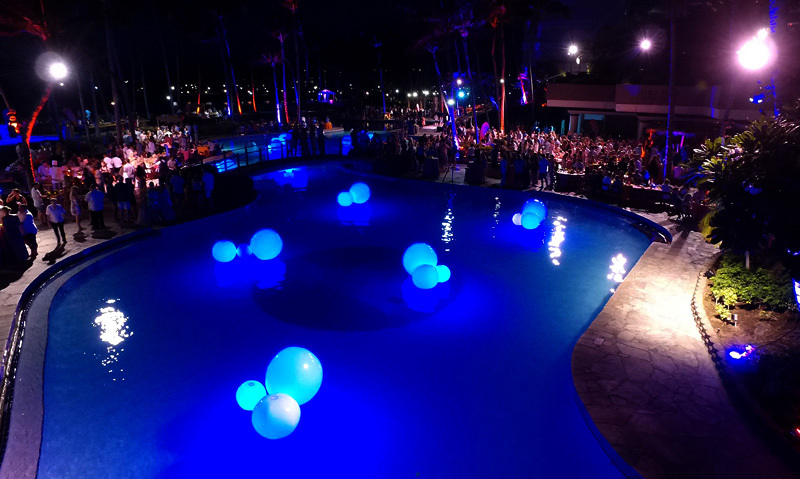 TLC custom water effects for productions and events: rain, water-screens, intelligent water screens that create messages and designs in the falling water, splash and water fountains and effects, and pool special effects. 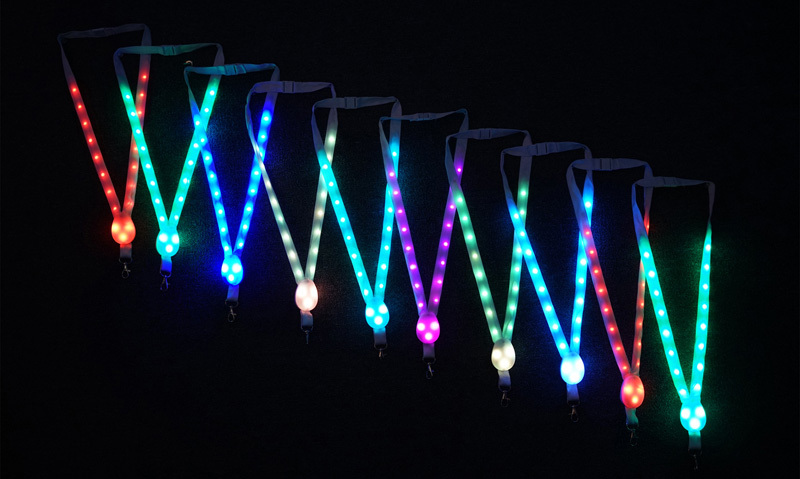 Put them anywhere! 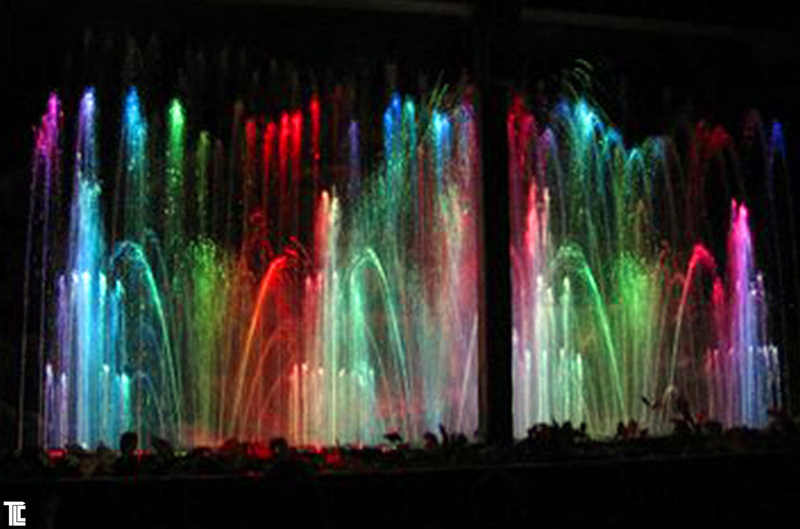 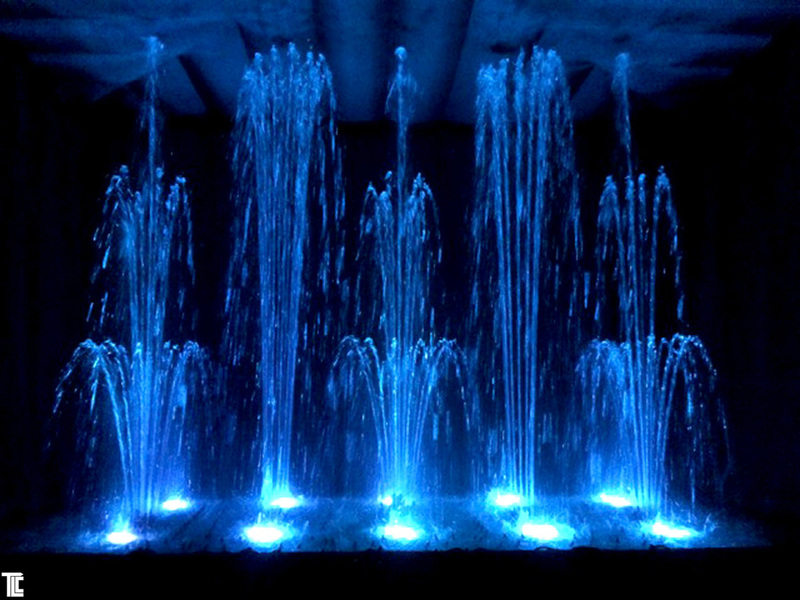 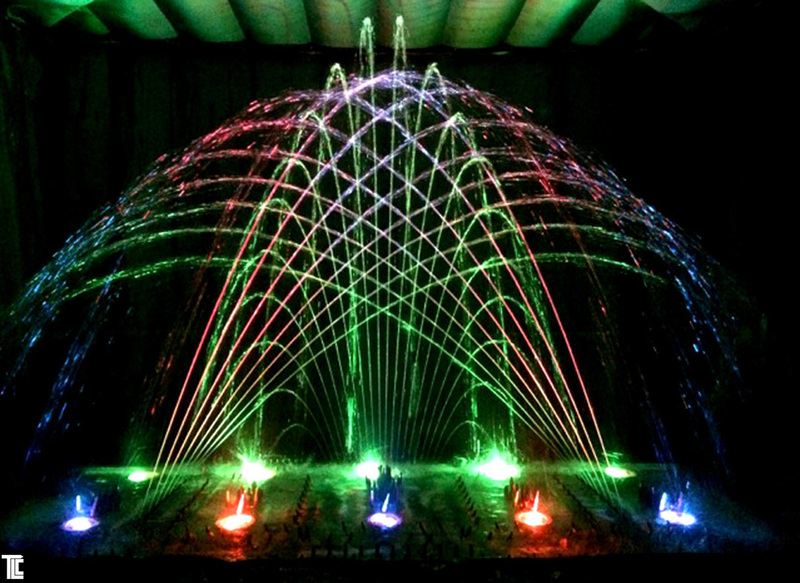 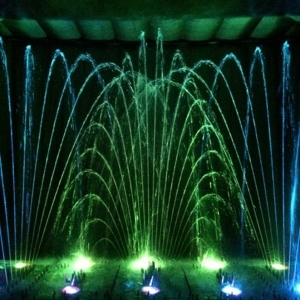 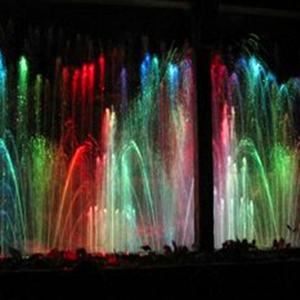 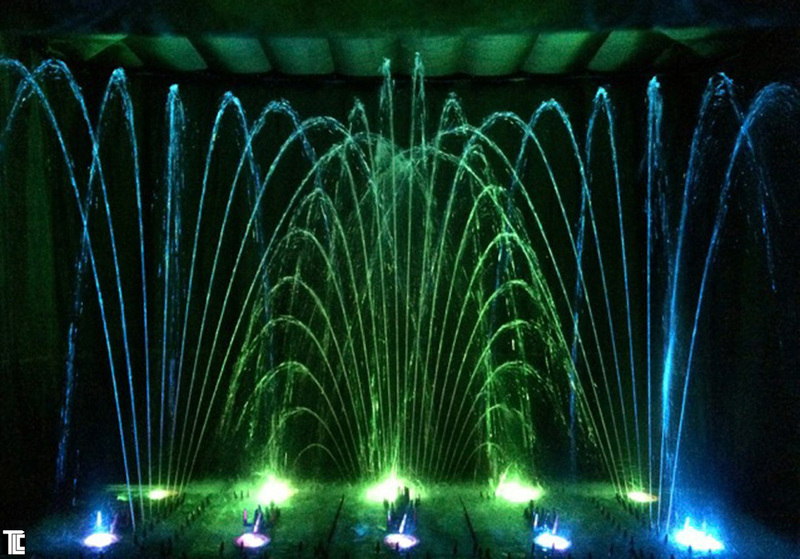 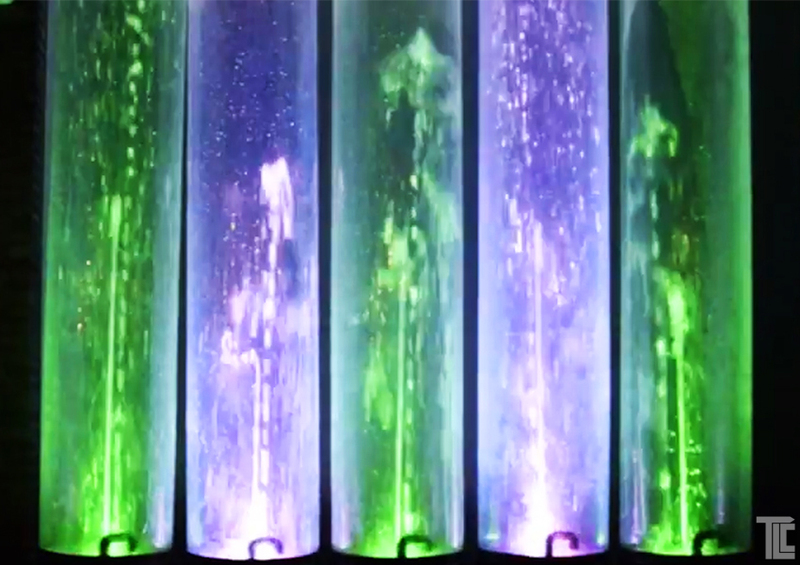 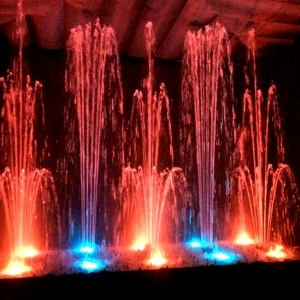 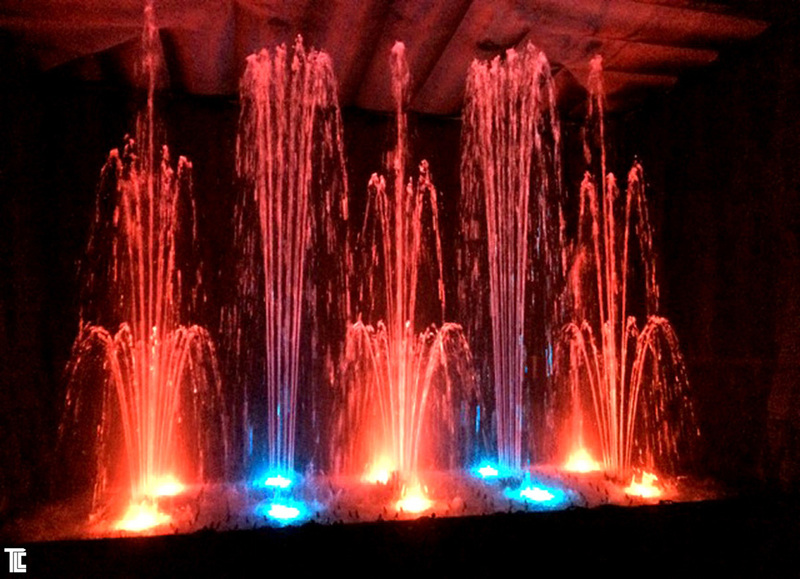 Water tubes with dancing water and LED light, in enclosures that keep water inside. 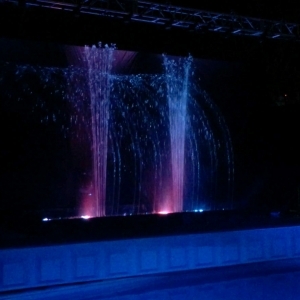 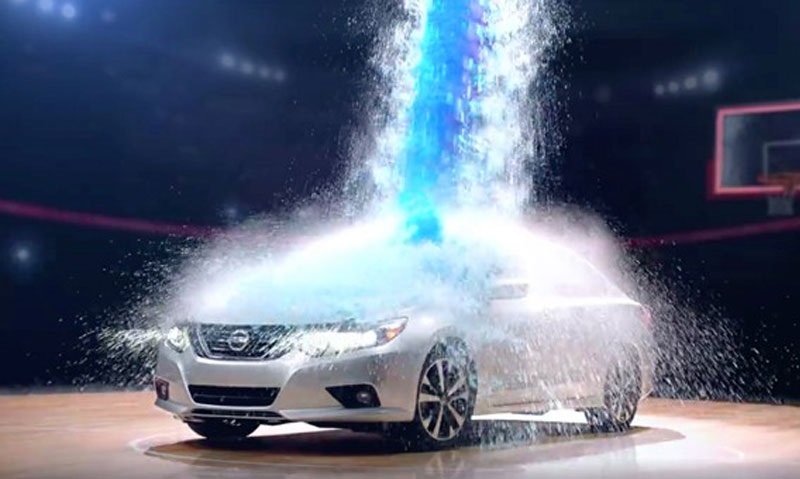 Combine multiple units for a dancing waters look. 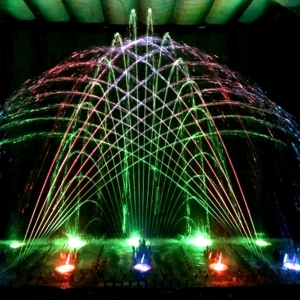 Contact TLC for more information.